The Stereophonics have confirmed that they will perform a concert at the new Cardiff City Stadium this Summer. 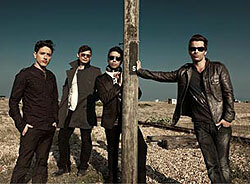 The Stereophonics are scheduled to perform their open-air concert on Saturday 5th June. It will be the first time that the Cardiff City Stadium has hosted a music concert.